Hi ! 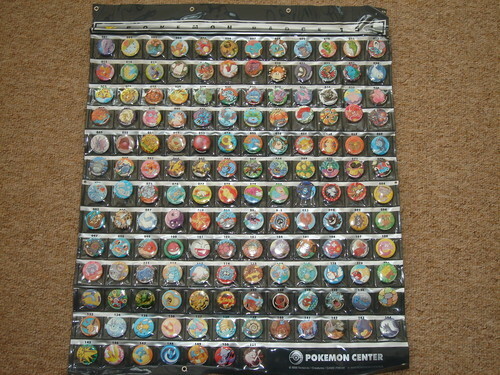 I'm very sorry about split up the badges from this amazing holder, but this GA was so needed ! I'll ask for other pictures. this GA ends in about ten hours. we have not quite made the starting bid cost, so if you want your poster, up your claim, or claim some more! 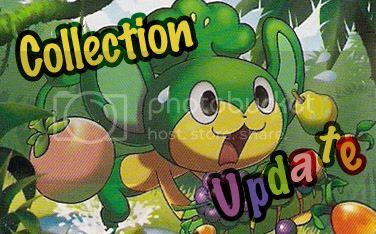 i am working hard to get a big collection update posted before i go home for a couple of weeks, but natural lighting has not been on my side. bah! a sneak peek... i just love therian form boltykins!! pardon the bad lighting, hey, its 4:50 AM!! 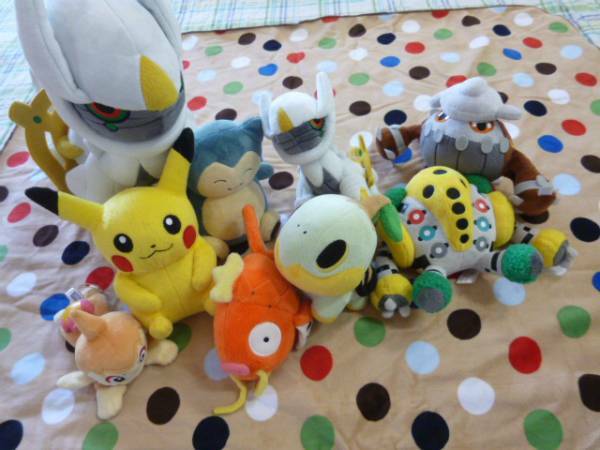 I am so happy right now :D I don't even one to go to my class later for an exam just because I want to enjoy my new pokedolls :D:D!!!! First It was 8:30 when I heard in my sleep that annoying "ding dong" yayyyyy -_____- they usually pass around 3 and when I am super tired they come in the morning....so with my messy hair I open the door :D and it's the mail man with 2 packages??? XD I was so confuse cause I got something yesterday that was telling me to go to the post office cause I have a package there too, but anyway :D It was a big and a medium package. Hi collectors! Today I bring you another set of figure photos I took. 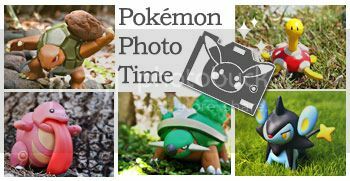 Just a little want right now- seeking a POKEMON TIME Growlithe patterned bookmark! Shipping is to USA. Thanks! <3 Hope to have a post of more substance a bit later. Hello! I've been on a partial-hiatus from the community for several months, so I felt like putting together a little reintro post to say 'hello. I'm sure you don't recognize me, because I've changed my username since my last post in May. I used to be lmoast, but not anymore. (Reason why here, for the curious.) For purposes of feedback, my old username should be self-redirecting, but just in case, my feedback can always be assessed from my journal. I turned 21 last Saturday, and for my birthday, I received...a Terrakion! From my friend reilaa. 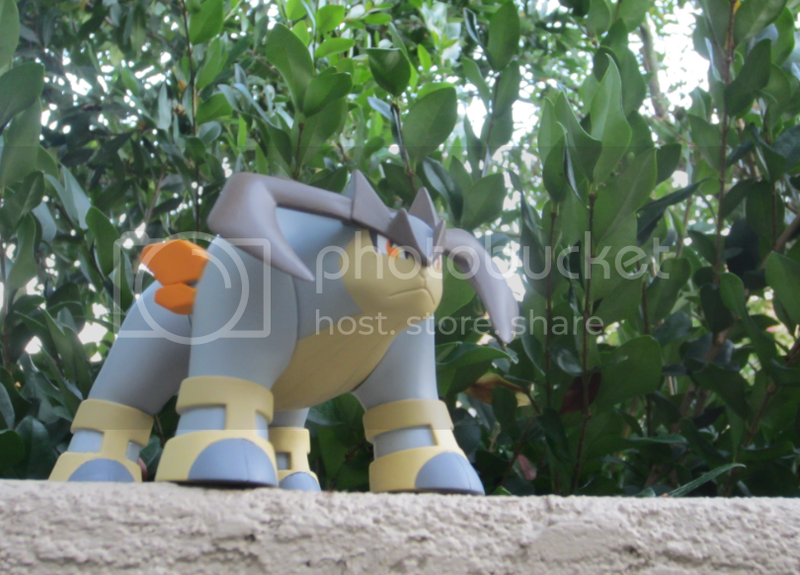 (: Terrakion has always been my favorite of the 3 muskedeers due to his design, color scheme, and pugalicious face. He also looks really, really cool. 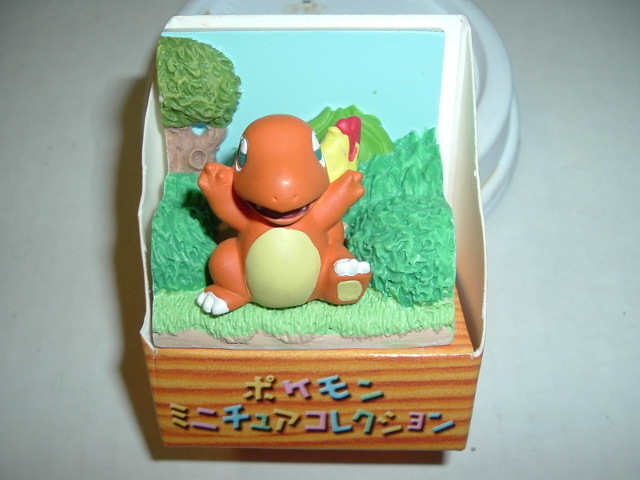 This is the big posable tomy. He is wonderfully detailed and I couldn't be more pleased with the shape of his horns, shoulder blades, boots, and face! I took him outside for some photos in the rocky part of the garden, which suits him. That's all folks! I look forward to saying 'hello to anyone new. Always glad to be a part of this community. Thank you for reading. ♥ If you'd like, please check out my wantslist below. If something I have listed is unreleased or doesn't exist yet, please let me know. I have been somewhat out of the loop these past 5 or so months. It is finally that time, after many months of procrastinating preparation, I think I'm ready to show off my karate chopping weasel collection! I've been collecting them ever since they were first announced, yet I haven't made a collection feature EVER. That is about to change today! Step right up and witness all the purple, creams, yellows and reds! What Time Is it? GA TIME! Hello, I'm just looking for a quick few things if anyone has them: a Reshiram pokedoll, Vanilluxe MPC and a Spring Sawsbuck MPC. I don't mind if they don't have tags. I'm located in the US. That's it for now, thank you! Reintro & MEGA Collection Update! You can call me "Min" or "Mignonette" (or a deconstruction of the two). Ignore my LJ name, it will change sometime in the future to something totally not weeaboo and something I made up when I was 16. I live near the Gulfcoast and started posting here last April, but have lurked longer. I love to collect the Unova monkeys and they are the main collection. 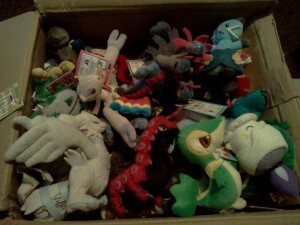 I have three minor collections: Minccino/Cinccino, Yamask/Cofagrigus, and Elgyem/Beheeyem, with some stragglers. I also want to collect Marlon, but we'll see how that goes! My holding back was mostly a combination of moving back home from college and then waiting for stuff to come in the mail…yeah, it got pushed back. But that means more goodies to show! Everyone, everyone! The MPC plush are finally here! :D I'm super excited. They're so cute and soft! At first, I wasn't too crazy about MPCs, but looking through these... I kinda want to keep them all. 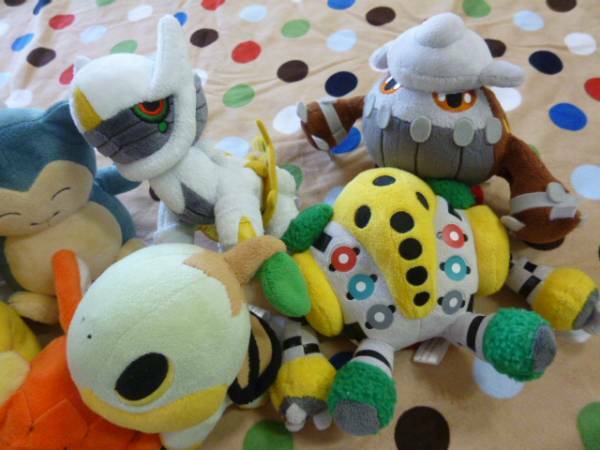 :P I may have to start collecting these in addition to Pokedolls. Anyways, payment info will be posted soon! If you know you won't be able to pay for a couple of days or will be out of town or something, please PM me so I know what to expect. Thanks, everyone! Hey there everybody! It's me nidoqueen pug with a few wants today! Please contact if you can help! This is the one I want the most ever ever ever!!! I dont care about used,tagless,pets in the house or anything! I'm alittle worried about affording this one since my parents dont really wanna help but I'm gonna try! In fact, today I worked for over two hours cleaning the house for some money! Wish me luck and maybe someone will give me a good price! Secondly is the nidorina plush! You can tell by my user name! I don't knpw much shes worth though! The clefable is a close third! Thanks for reading everyone! Good evening, fellow collectors. 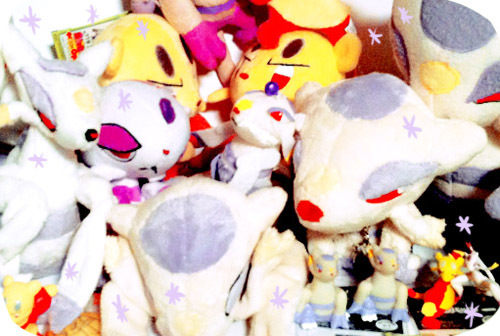 This time I am doing a quick sale for the last three plush in my collection. 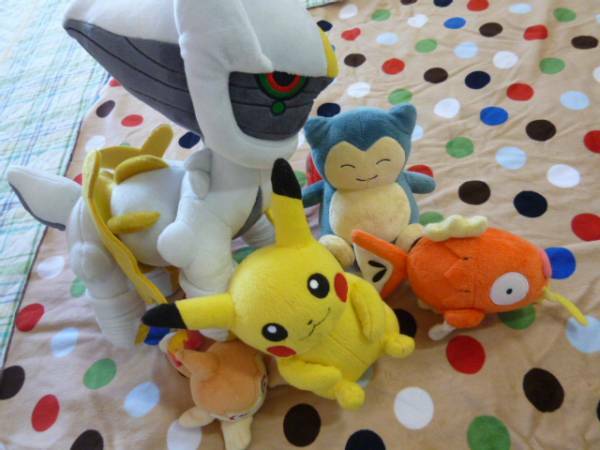 A minky US-released Dialga pokedoll (sold), a 10th-anniversary Treecko pokedoll, and a "mysterious" 1:1 Celebi plush made by TOMY (sold). 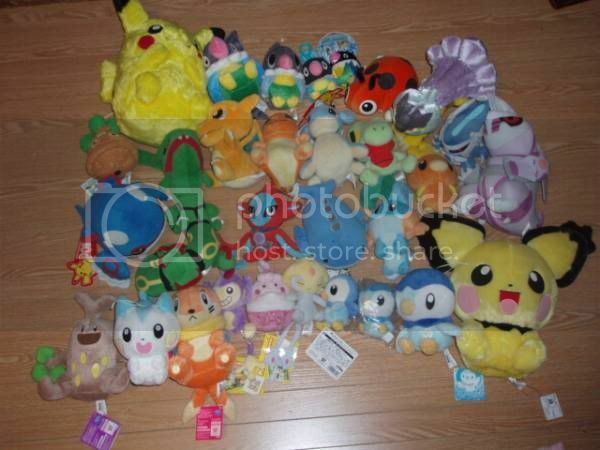 I am looking for any Magikarp Pokemon Center plush for 3 years now *yeah 3 years*. I have never had any luck with eBay bids and was devastated when I recently lost in a bid war to a sniper. It crushed my heart because I had held my hopes high that time. Its the feeling of finally close to accomplishing a life long goal and suddenly it got snatched away from you just like that ._. I am interested in the U.S version to the Japanese version with or without tags to the shining gold Magikarp. 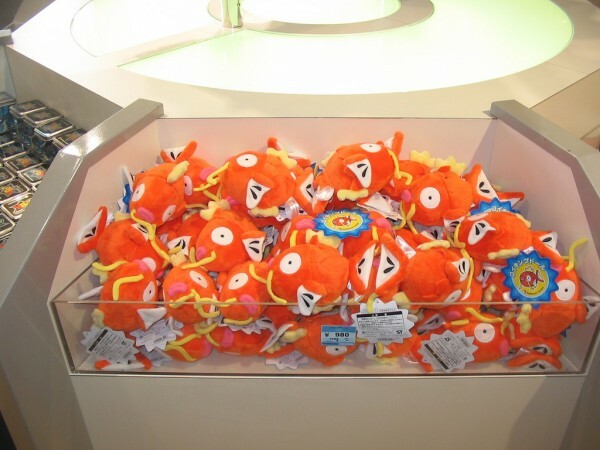 But for now I really want to get my hands on a Magikarp Pokedoll. I would really appreciate it if someone could lend a hand or two in helping me find one. It would mean the world to me!